So you are about to start the type rating training, but just as you thought, it is only the first milestone of the long road ahead of you. In order to shed some light on all the puzzle pieces that are needed to complete the big picture which we call “the professional pilot”, we have taken time to write a brief overview of the courses that each student-pilot must take to acquire the full package. 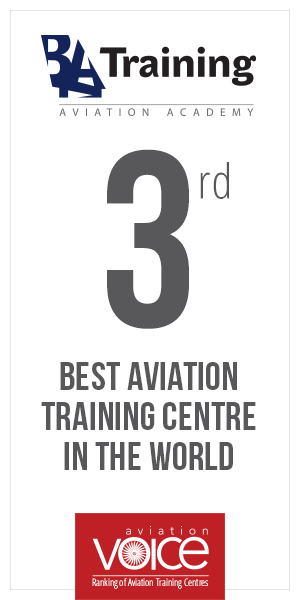 Once you choose the aircraft, completing the type rating course is not the end of the story. Words and abbreviations like MCC, First Aid, RFFT, CRM and others should definitely mean something. So first of all, nobody can fully complete the type rating training until they have completed MCC course. All EASA certified Ab Initio Schools provide MCC course as a part of ATPL(A) Integrated course, however, non-EASA schools are not obligated to do that. Therefore, students from other than EASA regions or those that have taken CPL Modular course need to take MCC course which will be integrated into the type rating course. MCC course is a one-time course and won’t need to be repeated, because issued certificate does not have an expiration date. ME and IR courses are two other requirements that students must have completed even before the start of their type rating course. Moreover, just like for MCC course, flight schools that operate outside EASA regulations might not be providing students with ME and IR along with the initial pilot license. This means that ME and IR training has to be completed prior to starting type rating training. Both of these qualifications are part of the recurrent type rating training, therefore they do not need to be taken again separately, because they are integrated. The second bunch of additional courses is not mandatory to complete before or during the type rating training. However those students, who are planning to self-sponsor their line training and even those who are already hired by the airline, must complete these courses before starting the line training. Courses like Ditching & Water Survival and First Aid is once in a lifetime courses which must be completed by every single crew member. RFFT (Real Fire Fighting Trainer), DGR (Dangerous Goods), and CRM (Crew Resource Management) courses are all general and mandatory courses that must be followed by the recurrent or renewal training every year or in two or three year periods. ESET (Emergency and Safety Equipment Training) is aircraft type specific and must be renewed every year. All of these courses complete a full package that every single pilot must go through before even dreaming of being employed to pilot an aircraft. By going through all these courses self-sponsored students take a little step ahead and can use the certificates to appeal to an employer as a better prepared and focused candidate. Students that are already hired by the airline, go through all of these courses during the Conversion training and preparation for the job. However, there are instances that airline requests aviation training center to provide their hired pilot with all the additional training along with the type rating. Lately, a number of airlines have started requesting pilots to go through one more course which ensures that pilots prepare for jet airplane in advance. Jet Orientation Training covers transition from the basic commercial aviation environment to jet airline operations. Self-sponsored pilots can benefit of this course by already being trained for the jet environment, and also gain more training hours in the Full Flight Simulator which is always important for the employer. So all of these mentioned courses and type rating makes a full and complete picture of what every single pilot must go through before starting to work at an airline. Once the initial training is done, pilot must always keep in mind and make arrangements to do recurrent training and LPC check for all his or her type rating and qualification courses. Being a pilot has its charm, but it also brings a whole deal of the responsibility of keeping all the little pieces of the puzzle up-to-date.